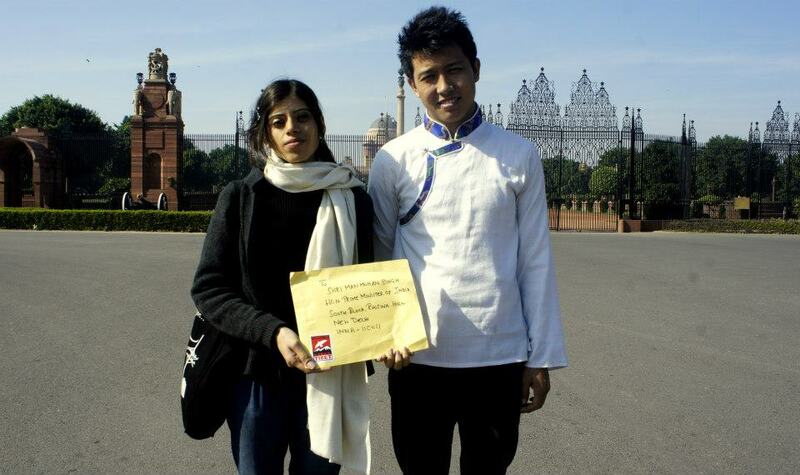 Members of Students for a Free Tibet (SFT), India today delivered more than 50 video messages to the Prime Minister at his office in Raisina Hill, Delhi urging him to engage in a multilateral action for Tibet with other world leaders. Members of Parliament, Advocates, Doctors, Professors, Journalist, Artists, Writers, Students, Activists and people of various professions expressed their solidarity and concern on Tibet through those videos. Video | This entry was posted in Tibet Support. Bookmark the permalink.